LONDON, United Kingdom, February 29, 2016/ — The 18th annual Africa Energy Forum (AEF) will be held on 21-24 June in London at the brand new London Intercontinental O2 overlooking the River Thames. The Africa Energy Forum is the global investment meeting for Africa’s power, energy, infrastructure & industrial sectors, expected to welcome 1,000 investors, 500 public sector stakeholders, 300 technology providers, 270 developers and 70 countries in June later this year. This year sees the Forum hosted in London for the first time – at the new London Intercontinental O2 overlooking the skyscrapers of the Canary Wharf and the majestic River Thames. The decision to move the Forum to the UK this year was taken to capitalise on the investment potential of the United Kingdom and promote the strong trade relationship between the UK and Africa. Shiddika Mohamed, Group Director, commented, “We are very excited to bring AEF to London. 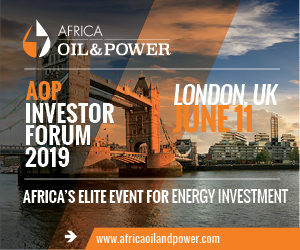 The theme of the Forum this year is ‘Mergers and Acquisitions’, so being in London, the world’s finance capital, will enable Africa’s growing number of power developers to showcase their businesses to decision makers of the world’s most prolific investment organisations from around the globe. Organisers EnergyNet will host a typically English opening night pub quiz party on the evening of 21st June featuring some legendary British culture and food, allowing participants to network in a fun, laid back environment before the formal opening on the 22nd. New for this year will be the Growing Economies Energy Forum (GEEF), running alongside the Africa Energy Forum. GEEF will host a day of open discussions between the governments and private sector from new energy markets such as Iran, Pakistan, Myanmar and Peru, as these growing economies open up for international investment following political and economic developments. The EnergyNet Student Engagement Initiative will once again bring 50 talented African students to the Forum from relevant disciplines to build relationships with industry leaders in the power sector. The conference and exhibition will see the return of a mobile networking app to assist delegates with networking. 70% of attendees used the app in June 2015, with 1,900 messages exchanged and nearly 200 meetings arranged.